Great grooming is in the details. Dollar Shave Club was founded on the belief that men can look their best without paying top dollar. 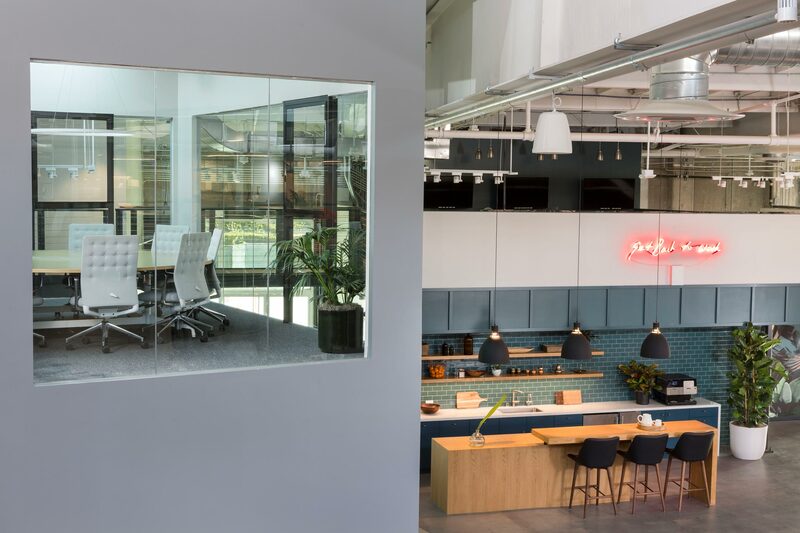 Built with precision, craft and dapper style, the new Dollar Shave Club headquarters reflects the company’s core values while bringing employees together under one roof. 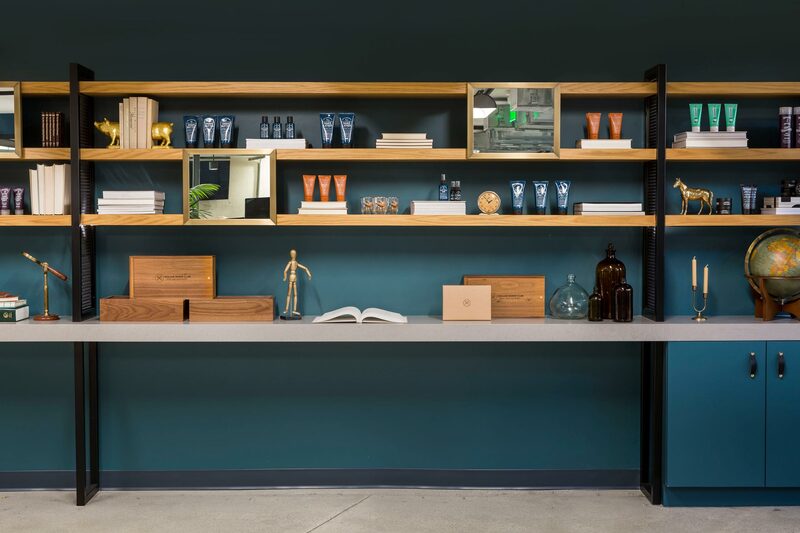 The result is a refined workspace to collaborate, unwind, and find the next great shave. 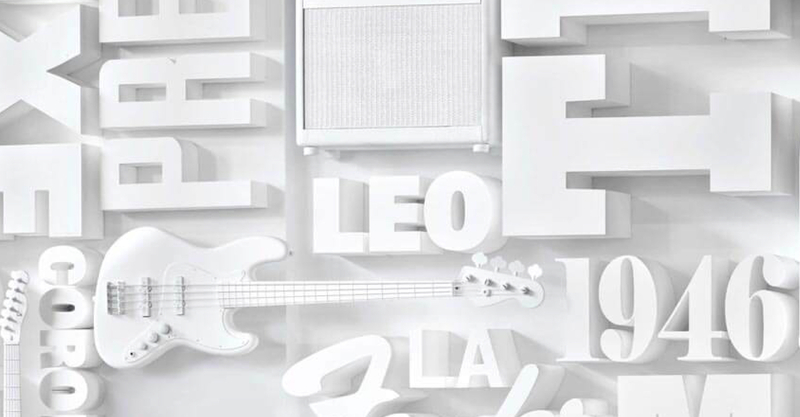 Dollar Shave Club creates memorable experiences that are innovative, affordable, and convenient. 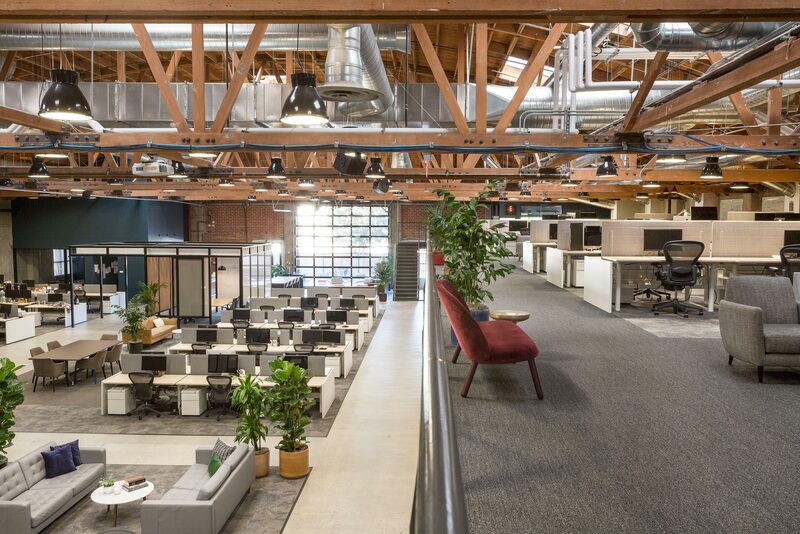 Expanding the company’s current office space in Marina Del Rey, the new headquarters was built around a shared spine of common spaces that link dedicated program and workstations together. 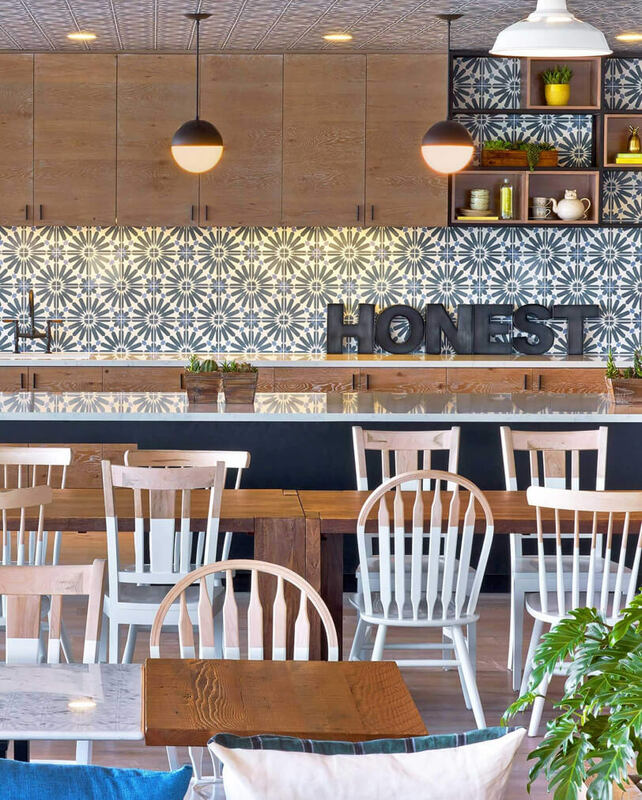 Conference rooms combine with a café and dining space, as well as an apothecary, showroom, and library. 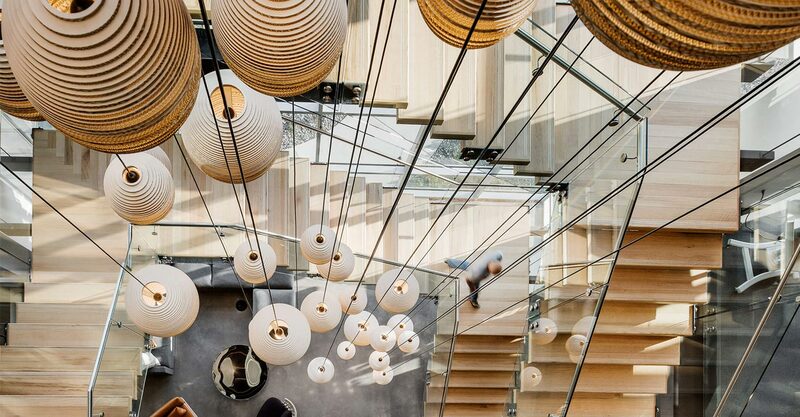 As a holistic design, the new headquarters is familiar and accessible, yet surprising and bold. 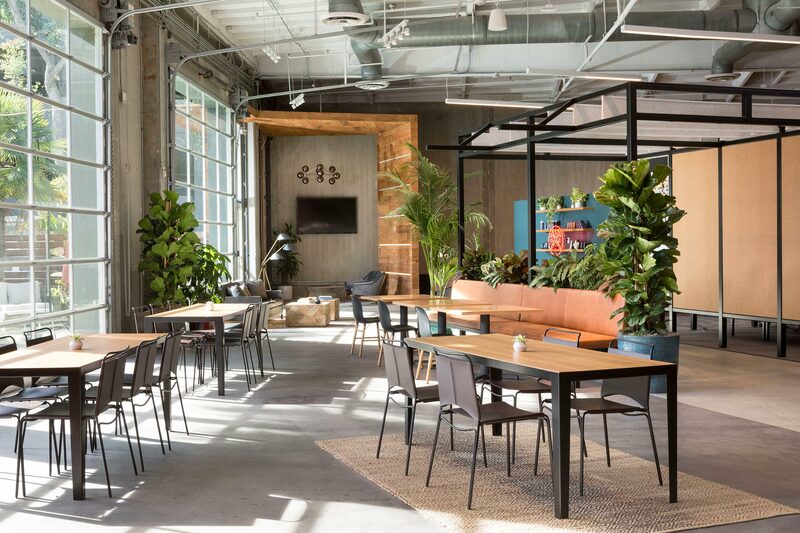 Built to foster innovation by promoting team agility, workspaces are made to respect individual productivity so teams can stay ahead of the game. Workstations are grouped by squads to optimize how teams meet and interact. 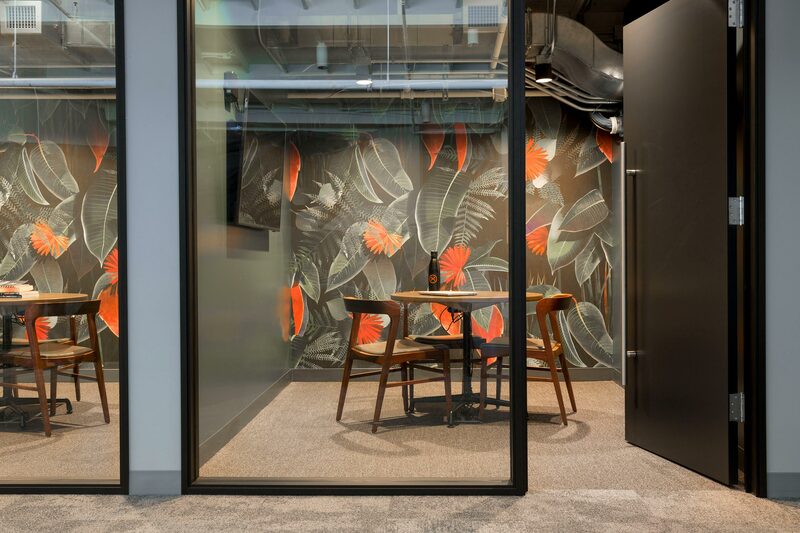 Tailored to deliver on multiple levels, the design frames an experience of the office through the product. The common spine acts as a showcase for physical products, where shelving displays, mirrors, and sinks allow visitors to try the latest products for themselves. Creating functional products that are enjoyable and memorable begins with connection. This is carried over to the dining area, where the space takes advantage of natural light and large garage doors to open outside and provide room to relax. 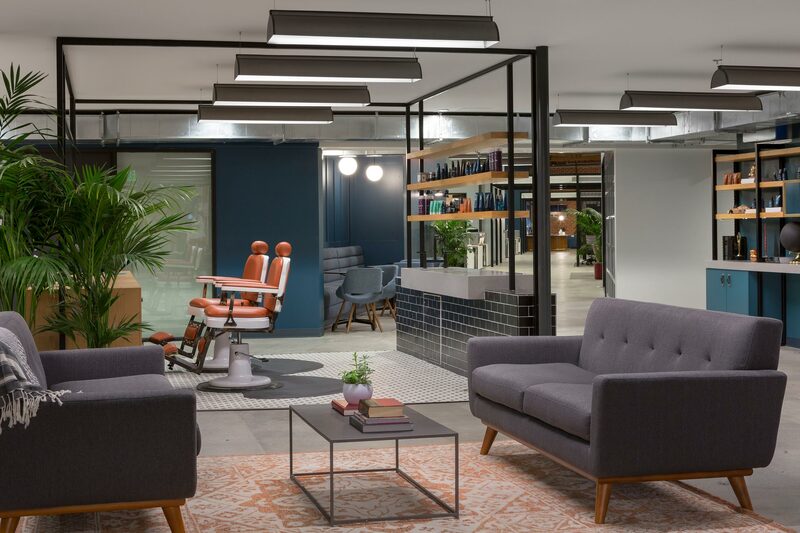 Inside, an in-house, working barber shop invites employees to test ideas and doubles as the perfect space for a new haircut or shave. 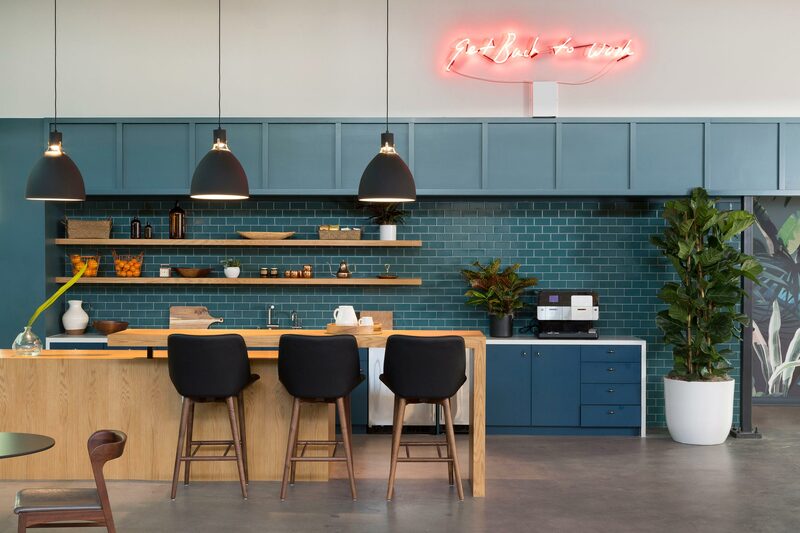 Dollar Shave Club’s material palette embodies this connection and craft. 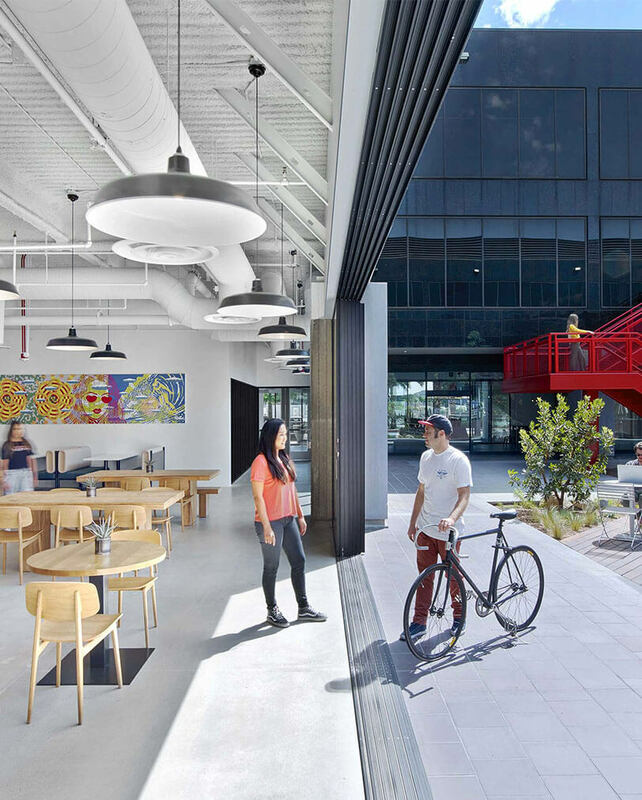 Workshop materials are raw and exposed, while departmental and common spaces feature more industrial frameworks, planters, and a refined aesthetic. 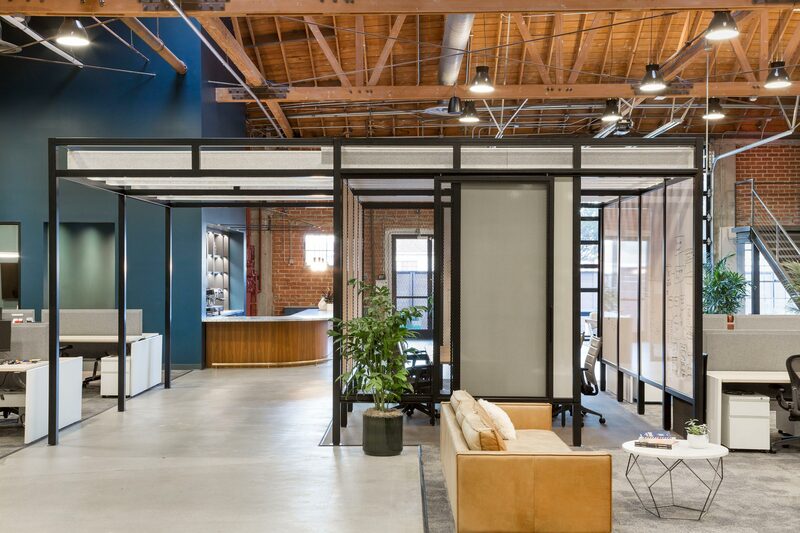 The new Dollar Shave Club headquarters was designed to look sharp from every angle. 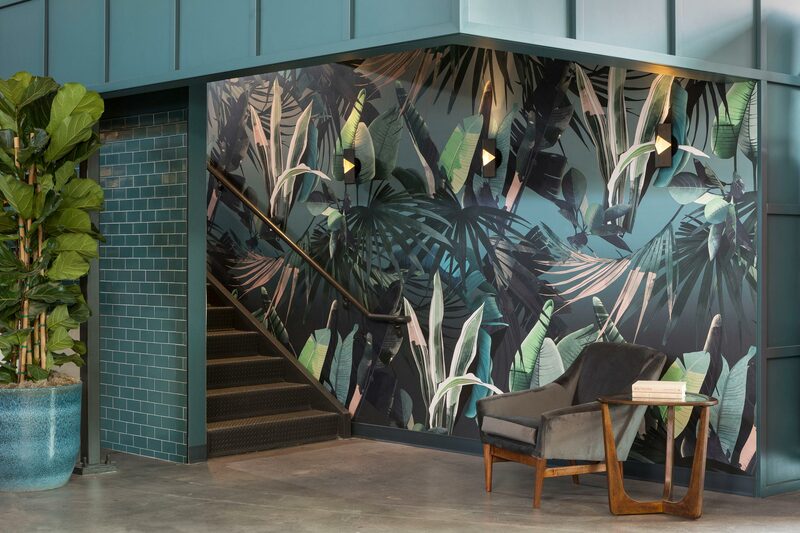 Wayfinding, graphics, and art combine with jungle wall coverings and a vast plant program to paint a picture of the club’s story throughout the space. 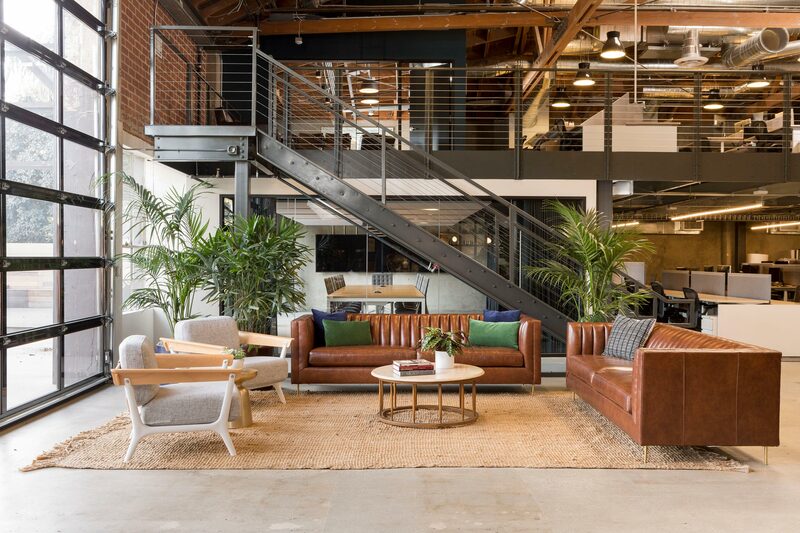 Neat, comfortable and put together, the headquarters shows firsthand how looking good feels good.